Happy Monday to all...let's start this week with a big smile on your face! 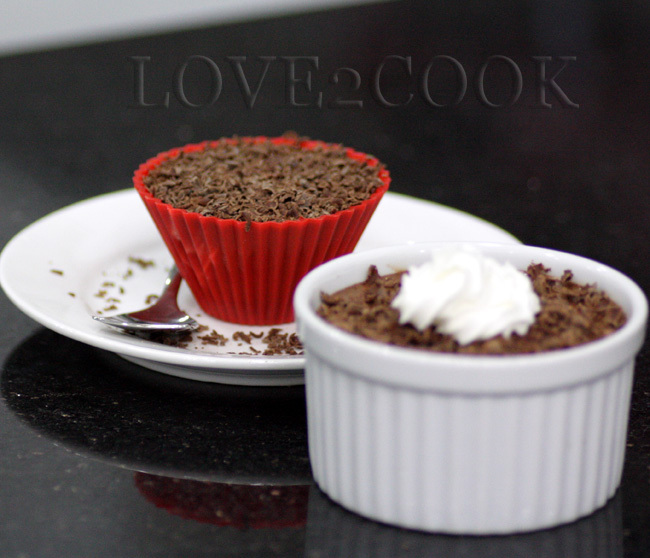 Seriously, am not gonna blabber much today..carrying on with a yummy, spoon-licking dessert, Chocolate Mousse Pudding. The preparation is simple... try it.. 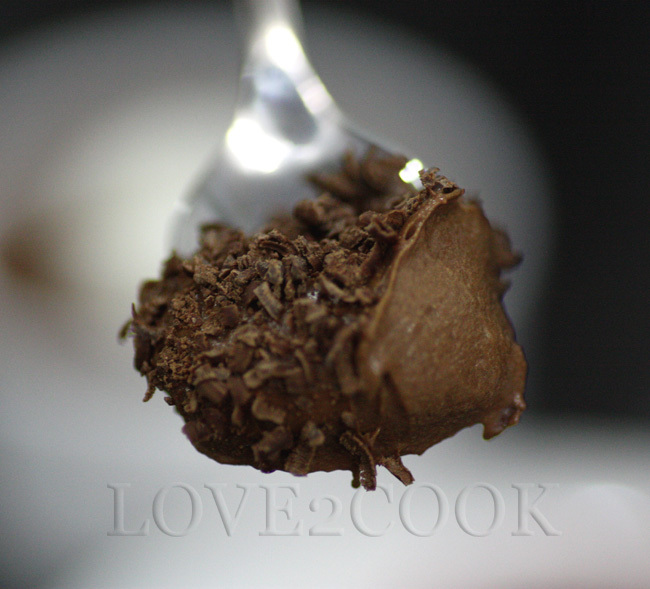 In a saucepan, melt chocolate with water over double boiler. Add in whipping cream and whip over low speed until well mixed. Transfer the chocolate mixture into another bowl. Wash the mixer bowl and wire whip. 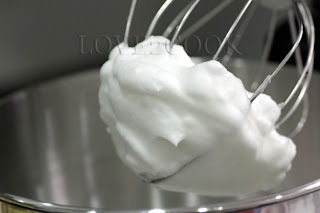 Dry thoroughly then whip the egg whites on high speed to stiff peak. Switch off the mixer. Fold in the whipped egg whites into the chocolate mixture until well combined. Fill in the ramekins and chill about 2 hours. 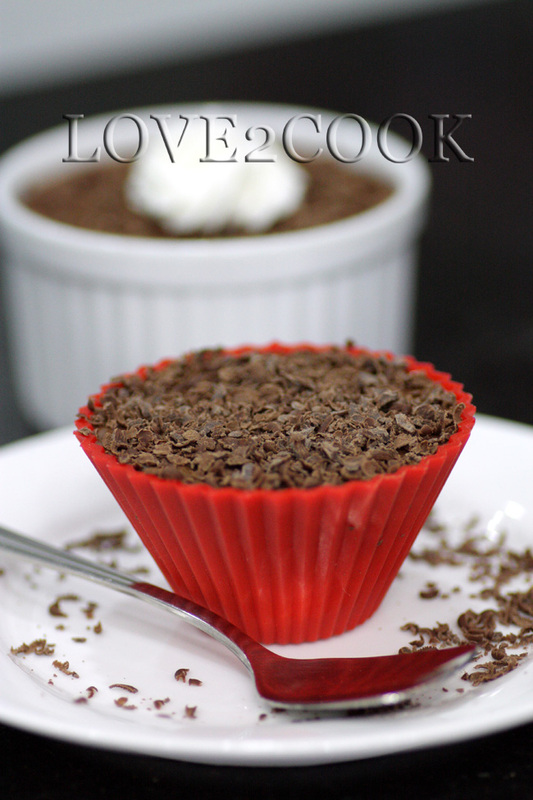 Top with grated chocolate or whipped cream before serving. Enjoyyyyyyy! argggh silap langkah masuk sini early in the morning while my tummy is sooo hungry nih ! Hai Love..Happy birthday..sorry lambat bagi wish...semuga Love bertambah cantik...berbahagia bersama hb dan your lovely son and daughter..
patutlah gambar lawa..rupernya dapat kamera baru yer. akak pun tgh nak cari kamera baru..sony tu dah buat hallah pulak..
gambar kat harder tu gambar kat dapur kamu ker? Lawanya kitchen kabinet kat rumah kamu..jelous sbb belum ada lagi kitchen kabinet. This is my first visit to your blog You have a wonderful collection. I'll be back often! i nak try jugak lah....so sweet.. Very lovely photos...the chocolate mousse look yummy! I've posted my new house kitchen pics here before. awesome what a choclate deasert looking looking !!!!!!! Love, please let me have some..."wink"
great photos and mouth watering pudding! 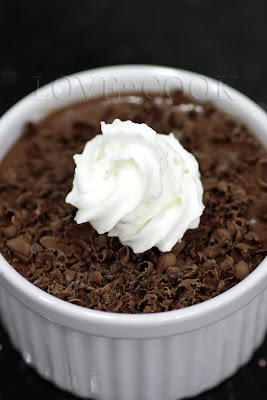 hai dear..waaa..xthn kmaz tgk pding love tu..sure really yummy..nak jgkkk..plsssss..muahhh..
Omg, wat an irresistible chocolate mousse pudding, very inviting.. 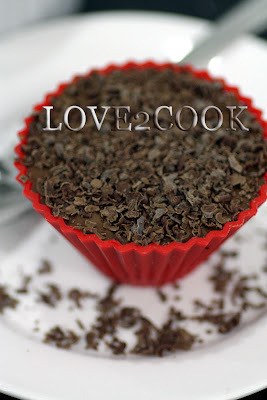 I don’t know if I can wait till I make this, but your pictures have kindled my desire to eat chocolate right now. Hi there cheeky! Your chocolate mousse looks really good. My kids would love this! Thanks again! I love anything with chocolate. Mousse is one of my favorite sweets. Love yours too. Good dessert after eating my spicy curry mamak sting ray! LOL! I happened to sneak into your space ..... And Gurl you made me drool. I am craving for this mousse now. You have some gr8 recipes and the clicks are awesome !! Looks like a wonderful treat! happy belated birthday dear....nampak sgt sedap...bila mahu cuba ini recipe...:) Semoga sentiasa happy dan ceria selalu....happy cooking! 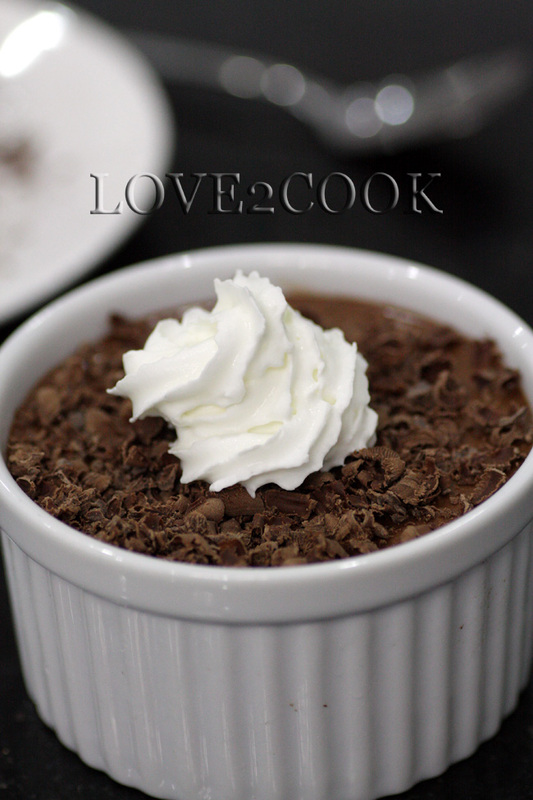 Hi Love...nanti dtg umah k.atie amik award yer..
Woooowww Love...what an amazing mousse pudding you have there!! Look so marvelous!Don't wanna share with me some? huhuuu...terliur sungguh! Wounderfully presented... Just love to have it. Thank you for joining darling! I love chocolate in any form, yum, yum. I am losing control .....yum yummmmmy.